Welcome to Summer, Friends!! I know technically it's not for a couple of weeks yet but to me, once Memorial Day has passed it's here! To me, summer is campfires, nature walks, beach days and family time. What is it to you? I'd love to know!! If this summer finds you planning for a new baby, this is the list for you! Or maybe you know someone searching for ideas, it's for them too! I'm going to give you FOUR fresh ideas for swoon worthy nurseries. 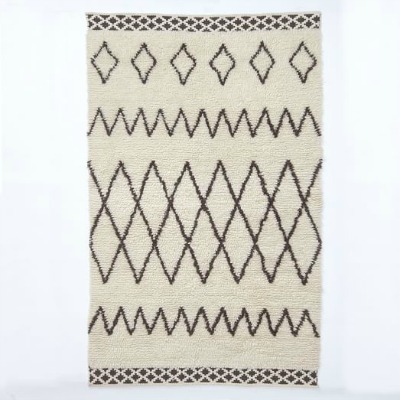 I'm starting with this one because I love any excuse to bring a sense of the outdoors inside. There are a lot of ways to bring nature into a nursery, just like any room in your home. Think reclaimed wood, neutral accents, soft textures and cute forest animals. Here are some of my picks for this theme. 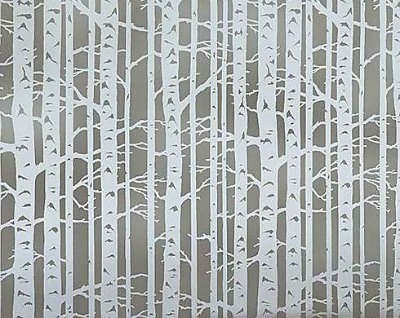 This birch stencil is great for an accent wall behind the crib. You can pick any background color you choose and stencil it on in white. Such a clean looking statement. How about some cute forest animals? I love the softness of this watercolor collection! Also, I love searching Etsy for cute, original prints and artwork. And you get to support a small business owner at the same time! One of the trends we have talked about for 2016 is geometric accents and pieces and a nursery is as good of a room as any to don these designs. There are so many options to choose whether you want to go bold or just add a subtle hint. This changing pad cover from Little Wife Power House is also available in a crib sheet and boppy cover if you want to coordinate across the room. What fun colors! How cute would this mobile be for a boy's room with navy accents! If you're having a girl they have a lot of other color options too! Why is it that a lot of people associate Modern with a cold and sterile feel? In my opinion it's everything but! I know this is why a lot of people shy away from Modern style decor but I've got some great ideas to make you choose this for your nursery theme. Bold prints or bold colors are a fun way to bring in a modern look without putting too much effort in. Check out these simple art prints. You could pick from a lot of different items, just make sure they're bright and fun! Target has recently released a new line called Pillowfort and it's full of the most adorable pieces to take your nursery into toddlerhood. 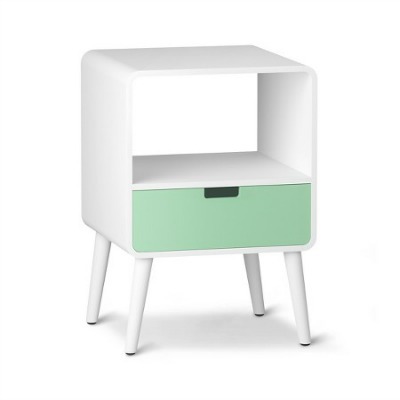 This side table/nightstand is a perfect transition piece to use in a lot of rooms but it has a definite modern feel with clean lines and tapered legs. Ok, I had to add this one to the list. Last year we saw a lot of black and white, patterns with sharp edges and an edgier style overall. And some really great nurseries exist out there with this style. Buuuuuuut, I am loving the softness and appeal of the pastels and curves and whimsical feel of everything in this theme. Check these few ideas out. How easy would it be to make these! She gives a super great tutorial here. What a seriously cute idea to customize bookshelves. This wallpaper mural can be ordered in any size and additional colors but something about this combination has me thinking it's the perfect pick for a gender neutral space. Tell me, do you think there is a baby in the world who doesn't want to just cuddle up and drift off next to this adorable pillow? If you are wanting something more gender specific there are plenty of options in blues, pinks and purples here. I recently started making custom signs and I think this one would fit perfectly in this nursery theme, what do you think? Remember, you don't have to have everything in the nursery fit to a theme but a few similar themed items here and there can really bring a space together. I'd love to hear your thoughts on these or other themes you think are swoon worthy! Older PostIf He Gets a "Man Cave", You Should Have a "She Shed"